The cork oak is a Species of evergreen native to the Mediterranean region. It belongs to the family Fagaceae. It grows from 60-70 feet (18-21 m) tall and a crown 100 feet (30 m) wide. It can grow in clay, loam or sandy soil. It can live over 150 years. 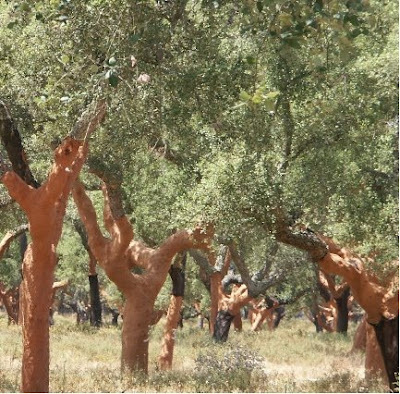 An amazing feat the cork oak has is its ability to grow back its bark after it has been striped of. This regrowing of the bark takes a few years. Cork bark is harvested and made in to a variety of thing the best known as a bottle stopper. Cork production plays a major role in the Spanish and Portuguese economies.